Cardiac surgeon Hooman Noorchashm leads the charge against the controversial surgical tools called power morcellators, drill-like devices with spinning blades inserted through small incisions to shred and remove tissue like fibroids or uterine tissue in hysterectomies. The doctor began his fight when his wife, Amy, suffered from upstaged uterine cancer after undergoing fibroid removal with a power morcellator. The issue with the device is that it can shred and spray cancerous tissues in the uterus and abdomen during laparoscopic surgery, causing the undiagnosed cancer to seed and spread. So far, the FDA issued a warning letter and Johnson & Johnson recalled its power morcellators. A number of hospitals deemed use of the device risky because of how difficult it can be to diagnose some uterine cancers before surgery. Protocol is that women undergo a cancer screening, but not all cancers are detected in the screening. “To do no harm, a lot of hospital systems have banned or taken the product off the shelf,” Dr. Chris Walker told Drugwatch. This is little comfort to Noorchashm, who wants nothing less than an all-out ban on these devices. But he said the outcome is unlikely. “My impression is that inside the FDA there are two groups of individuals: individuals who are more interested in advocating for industry interests and individuals who understand that the position of the FDA should be to protect patient safety and ensure patient safety. Those two groups of people are basically struggling,” Noorchashm told FierceMedicalDevices. Even if the option to ban the devices was presented, the regulatory agency is leaning towards putting the devices under probation – although what that means for women put at risk is unclear. According to the FDA research, 1 in 350 women could be at risk for deadly, up-staged, uterine sarcomas. 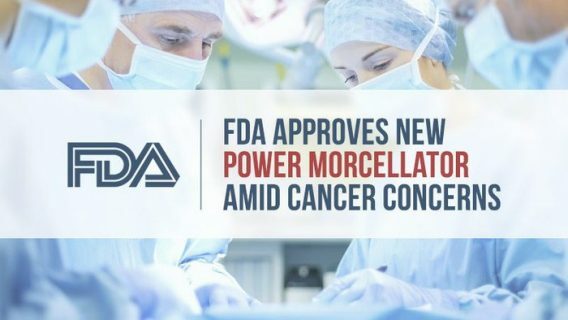 Women already died from undiagnosed uterine cancers that grew more potent and aggressive after power morcellation, spurring litigation. Brenda Leuzzi, 44, of Perinton, New York, died in October 2014, about two years after undergoing power morcellation. She is the second Rochester-area woman to succumb to an undiagnosed cancerous tumor that is believed to have been triggered by a morcellator. 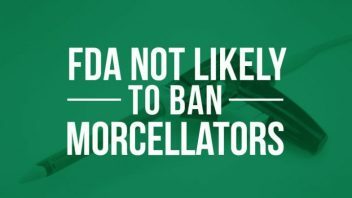 Leuzzi and her husband, George, filed a lawsuit against J&J’s Ethicon division stating the company failed to warn her that the Morcellex morcellator could spread cancer. Doctors diagnosed her with acute uterine leiomyosarcoma, a particularly deadly cancer, shortly after her hysterectomy. Lisa and Kurt Nielsen filed a claim against Gyrus ACMI, manufacturer of the Gyrus Power Morcellator, after doctors discovered several cancerous tumors in Lisa’s abdomen following a morcellator hysterectomy. Like Leuzzi, Nielsen’s complaint stated that Gyrus failed to warn her about the dangers of the procedure and that undiagnosed cancer could spread. Another device maker, Karl Storz, also faces lawsuits linked to its Karl Storz Rotocut Morcellator. Storz threatened Noorchashm and ordered the doctor to stop his anti-morcellation campaign, claiming it defamed the device maker. Using enhanced informed consent requirements that would educate women of the risks before surgery. Using a bag attached to the morcellator to prevent spread of possibly cancerous tissues. Improved testing for uterine sarcomas. While a ban was mentioned, it was not a popular choice. The medical community is also divided on the topic. But the devices have strong supporters. Meanwhile, the FDA is considering its options before making a decision, though it does not appear to be in any hurry and makes no promises. “If the FDA decides to take further action, we will issue communication to inform manufacturers and the public, including notice in the Federal Register,” an FDA spokeswoman said in email to FierceMedicalDevices.